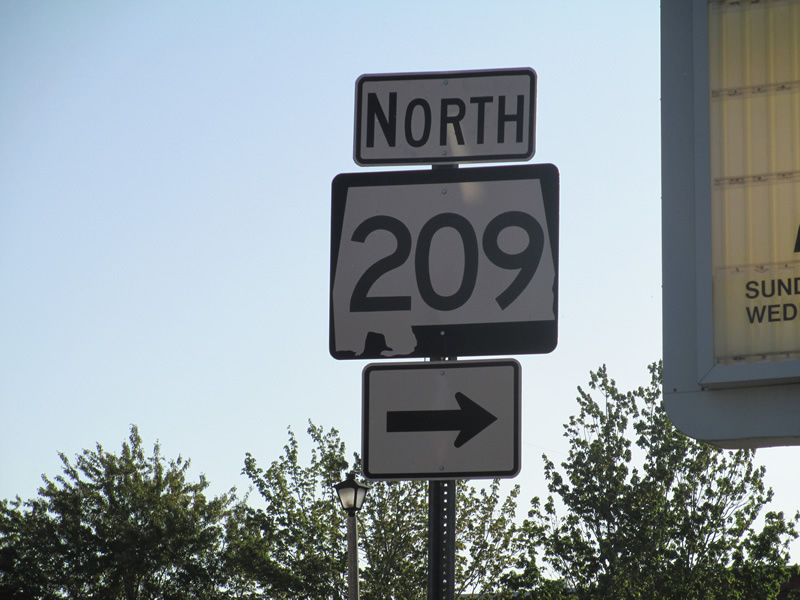 Alabama 209 north at its southern terminus in Centreville. The state route measures only 0.3 miles in length connecting AL 58 and U.S. 82. Photo by Matthew Taylor, 4/20/2013.